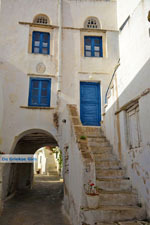 Aghios Sostis. 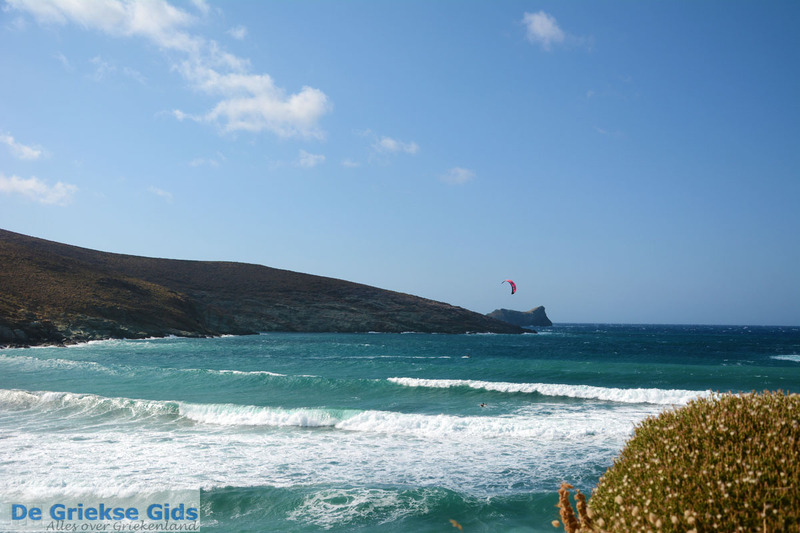 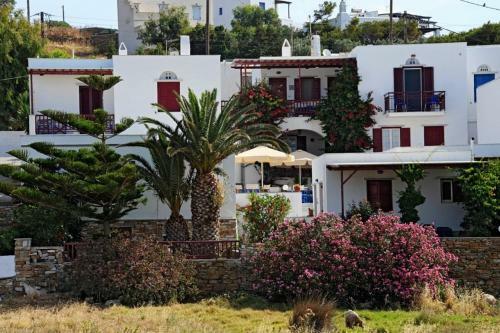 Aghios Sostis is a beach resort at the west of Tinos town, about five kilometers (3 mi) away from the capital of Tinos (Chora). 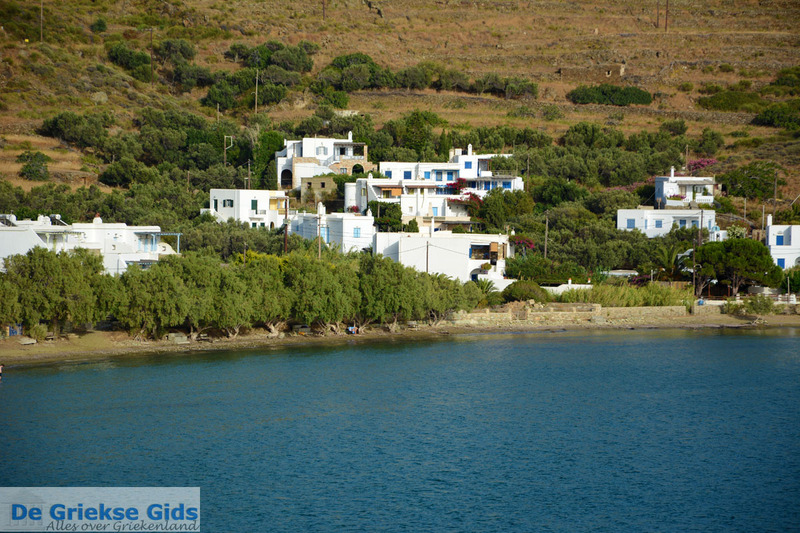 The village is located partly on a rocky area, while west of the village is a long sandy-pebble beach. At the point where the beach begins, is the beautiful white church of Aghios Sostis (Holy Savior). 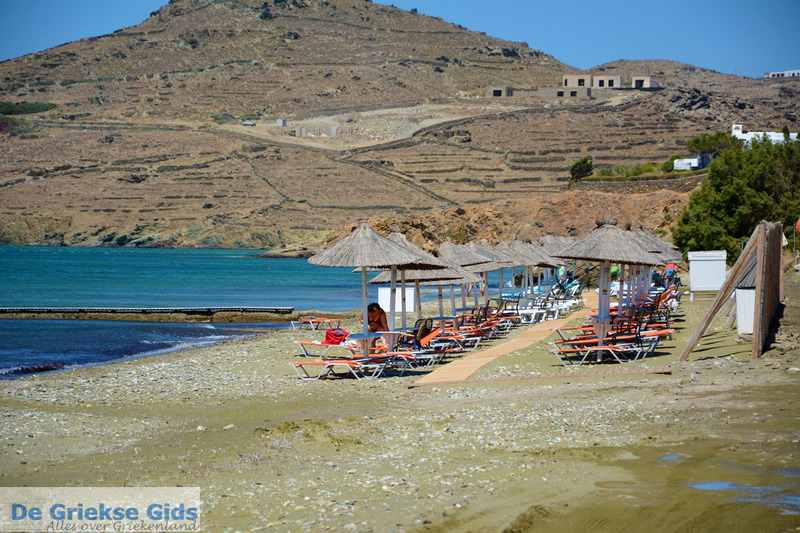 The beach is well run in the summer, with sun umbrellas and loungers available for rent. 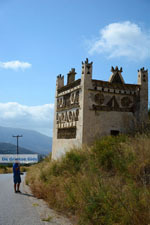 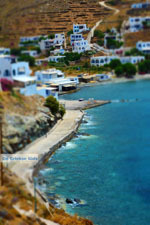 It is located in the Bay of Laouti. 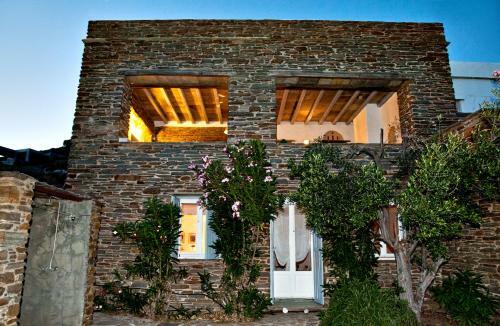 From here you have a striking view of the islands of Mykonos (10 km/6 mi), Delos and Rinia. 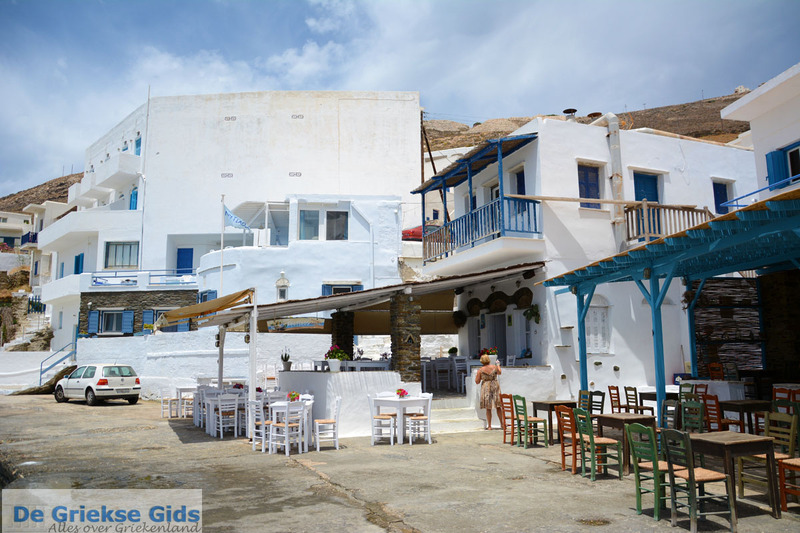 The sea is quite shallow and next to the beach are several restaurants serving seafood, traditional and more universal dishes. 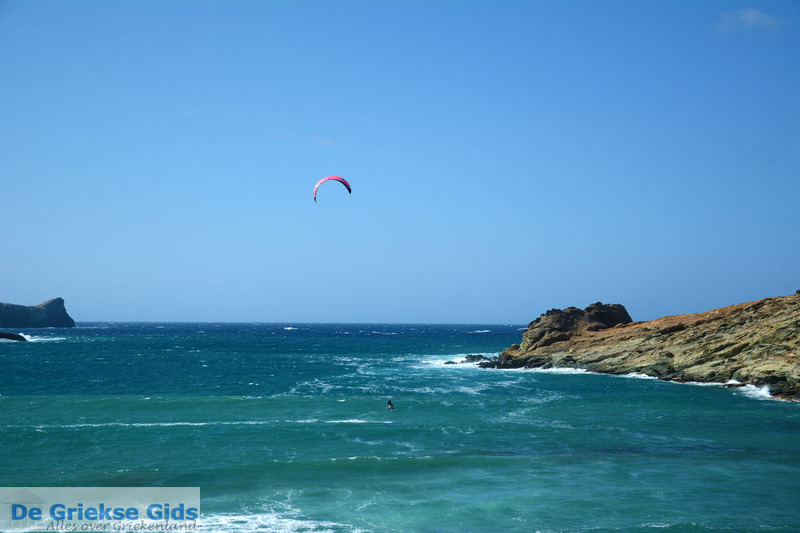 Because the beach is in the south of the island and in a bay, bathers are less affected by the famous strong northern winds of the Cyclades. 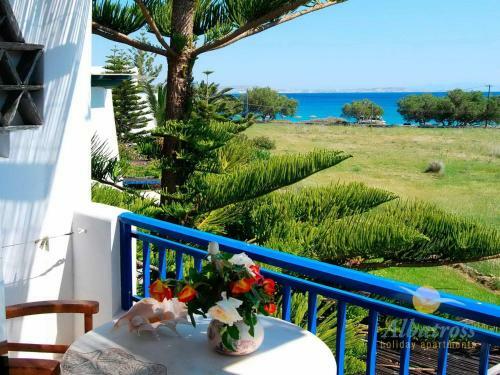 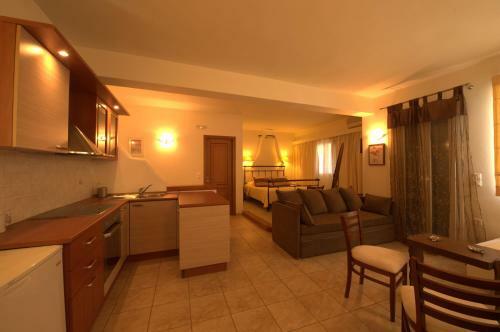 On the beach are an assortment of hotels and apartments in all rates and classes. 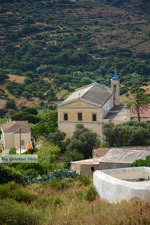 Every year on September 6th a traditional feast is held at the church to honor the patron saint of the village. 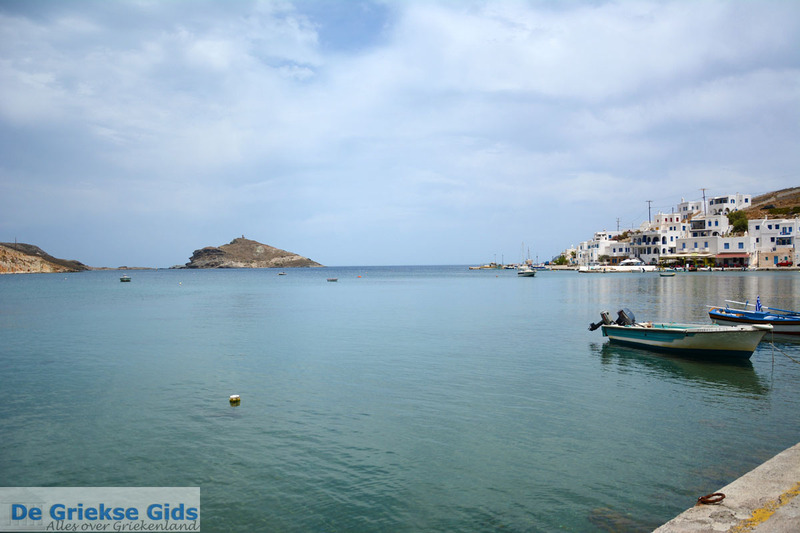 In the same bay that Aghios Sostis is located, midway around the bay, is the resort of Laouti, also called Skilandari, and on the other side is Agia Kyriaki. 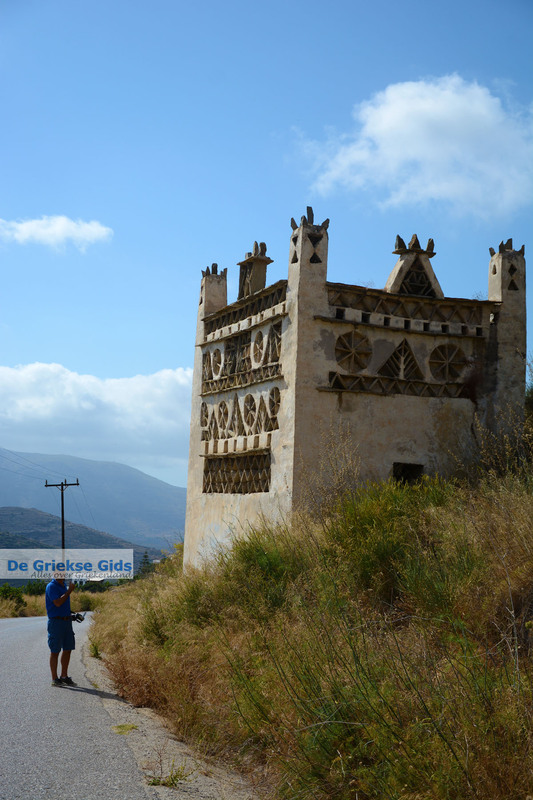 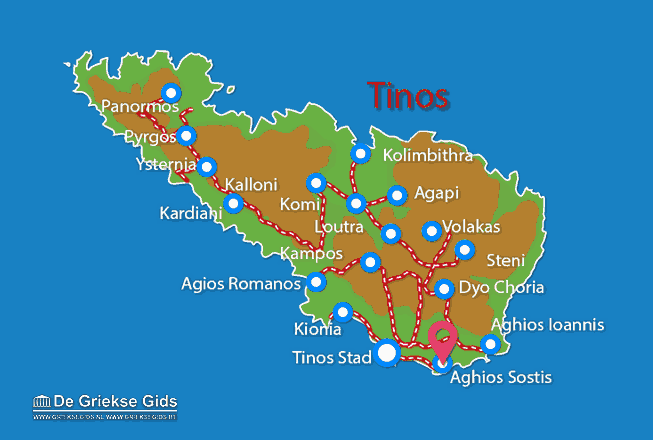 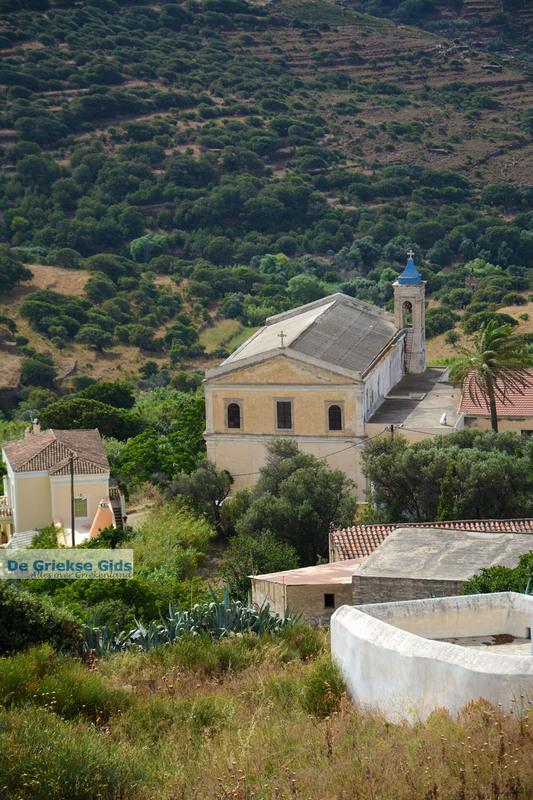 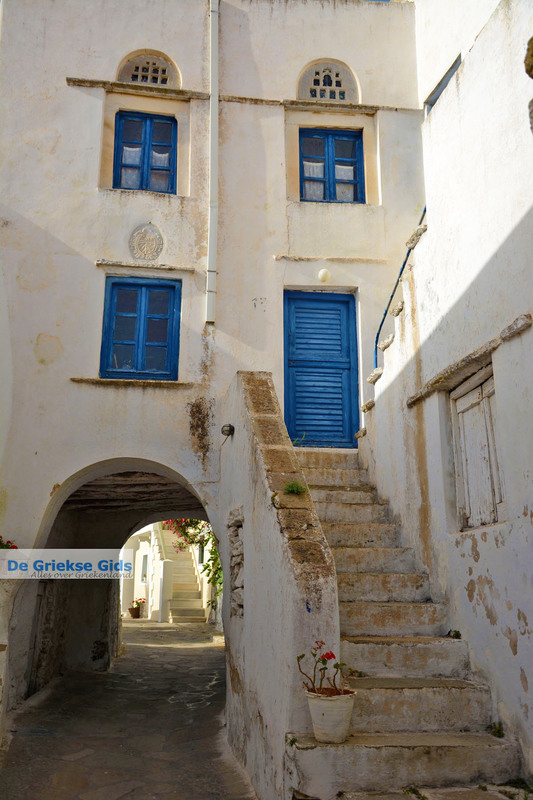 Tinos: Where on the map is Aghios Sostis located?